You be the judge. Each of the nine wineries along the Pioneer Wine Trail will serve chili and you decide whose is the best! Join us for a weekend of fun, food and wine as you drive from winery to winery enjoying samples of chili paired with specific wines and five additional wine samples at each stop! This is a self-driven tour and we suggest you stay at one of the many B&B's, hotels or camp grounds along the trail so that you can take your time and enjoy each stop. Get your friends together, map out your itinerary, get your souvenir wine glass at your first winery and let the judging begin! Sandhill Crane Vineyard near Jackson, MI will be featuring Vegetarian Chili with Staccato. Yes! After a very long time, Staccato is finally coming back and we're releasing it for the event. The official hours for this event are 11:00 a.m. to 6:00 p.m. on Saturday and Noon to 5:00 p.m. on Sunday regardless of each winery's individual tasting room hours. Buy tickets at www.sandhillcranevineyards.com And, make your lodging reservations for your overnight stay to enjoy both days of the event. Consider one of the Ann Arbor Area B&Bs. Closest to Sandhill Crane Vineyard is the Chelsea Victorian Inn. 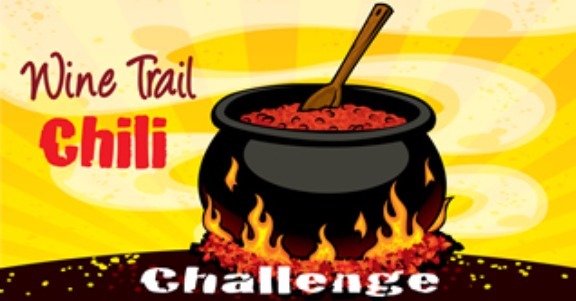 The Southeast Michigan Wine Trail Chilli Challenge participating wineries stretch west from Ann Arbor. Conveniently located near I 94 in Ann Arbor on the first fairway of Georgetown Golf Course is Davies House Inn. Not a golfer? Ann Arbor and Ypsilanti's 14 B&Bs would welcome you too! Near downtown Ann Arbor: Burnt Toast Inn, Washington House, Stone Challet, Avalyn Garden, and Baxter House. In Ypsilanti, Parish House Inn and Queen's Residence are easily accessible to I 94 and US 12 - the trail!